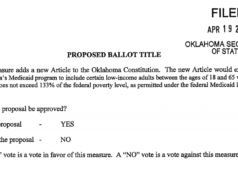 Here at NonDoc, we are throwing our hat in the ring of #okleg newsletters. Our new “Monday Minute” weekly update invites readers to spend as much time as they can spare reading about stories we will be watching each upcoming week. Excellent #okleg newsletters already exist, and you should consider subscribing to ones like Ben Felder’s new Capital City and the Oklahoma Policy Institute’s robust In the Know. Remember: Knowledge is power! We want Monday Minute to work with your schedule. In our beta version this past Monday, we included news bites that would take about one minute, three minutes, five minutes or 10 minutes to consume. So if you’d like to subscribe and be more aware of each upcoming week at the Oklahoma State Capitol, follow this link. Below, you will find our beta version, but keep in mind that the events in question have now occurred. Future editions of Monday Minute will provide similar information for the week ahead. Oklahoma’s 2019 legislative session is upon us, and headlines are constantly competing for your eyes and ears. The following stories will be worth watching this week at the State Capitol, and we want you to take whatever time you can to learn about your state government. Three minutes: Will Oklahoma County Commissioner Kevin Calvey attend? Last week, NonDoc broke news about Oklahoma County Commissioner Kevin Calvey’s second job as an anti-abortion lobbyist for Oklahomans for Life. Last Wednesday, he attended Rose Day, an annual anti-abortion rally that happened to coincide with County Government Day at the Capitol. It remains to be seen if Calvey will make an appearance at Tuesday’s SB 13 rally, but state lawmakers on both sides were not hesitant to raise ethical concerns over Calvey’s dual roles. Last week, NonDoc published its first Policy Pitch, a series of issue-focused commentaries for entities with advertising packages on the site. 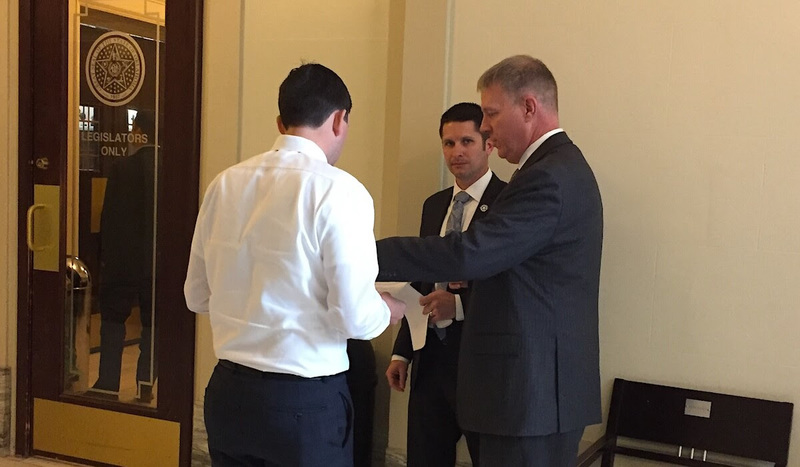 The Oklahoma Association of Nurse Anesthetists (OANA) advocated for SB 801 and HB 1027, which would tweak statute to authorize an increased role of Certified Registered Nurse Anesthetists (CRNAs) in providing anesthesiology care for patients. In a surprising early-session move, however, the Oklahoma State Medical Association and the Oklahoma Society of Anesthesiologists made a sizable buy for this TV commercial opposing SB 801. SB 801 is on the Senate Health & Human Services Committee agenda for this Monday afternoon in Room 535 of the Capitol. Such strong early-session interest in specific legislation from two opposing groups could be worth watching. In a NonDoc editorial today, Editor-in-Chief Tres Savage identifies two factors pushing Republican lawmakers toward pursuit of federal dollars for some sort of Medicaid expansion: Growing rural health care challenges; and a mounting 2020 ballot initiative. Although the 2020 election cycle is more than a year away, some GOP lawmakers would like to reach a Medicaid expansion compromise before any state ballot question gains traction. 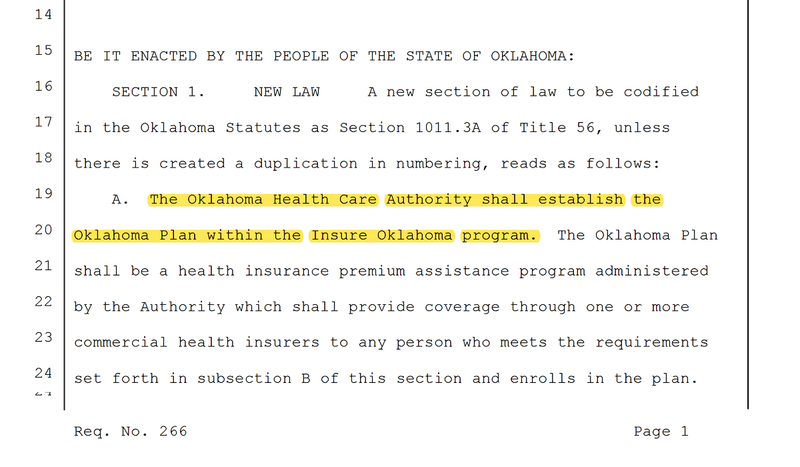 Adding to the confusion, it’s worth noting that the Oklahoma State Medical Association does not list Medicaid expansion as one of its 2019 Legislative Agenda items. What’s more, Sen. Greg McCortney (R-Ada) has filed a bill laying the groundwork for accepting federal dollars. Thus far, the Republican Senator’s bill has flown largely under the radar. The #okleg’s “joint task force” on medical marijuana will review and discuss the new “unity proposal,” which is a 93-page bill that would address THC levels, product labeling and patient-employee use issues, among other details. If your day’s task list includes only 1) Wake; and 2) Bake, then you should have plenty of time to review all 93 pages.